It is that time of the year again when Valentine’s Day rolls around and love is in the air. Relationships can certainly be a wonderful thing, but they are pointless if you do not have a relationship with yourself. How can you get another to love you when you don’t know who you are? It is also unfair to the other person to enter into a relationship while you are trying to figure out who you are because they don’t end up knowing what they are getting themselves into. Perhaps that is why the divorce rate is so high because both partners end up finding themselves years after they committed to marriage instead of before. No matter how hard you try no one can fill the hole inside you, but you and God. Also you don’t want anyone else to take the responsibility of having the relationship you are supposed to be having with yourself. You compromise yourself and end up living someone else’s life. 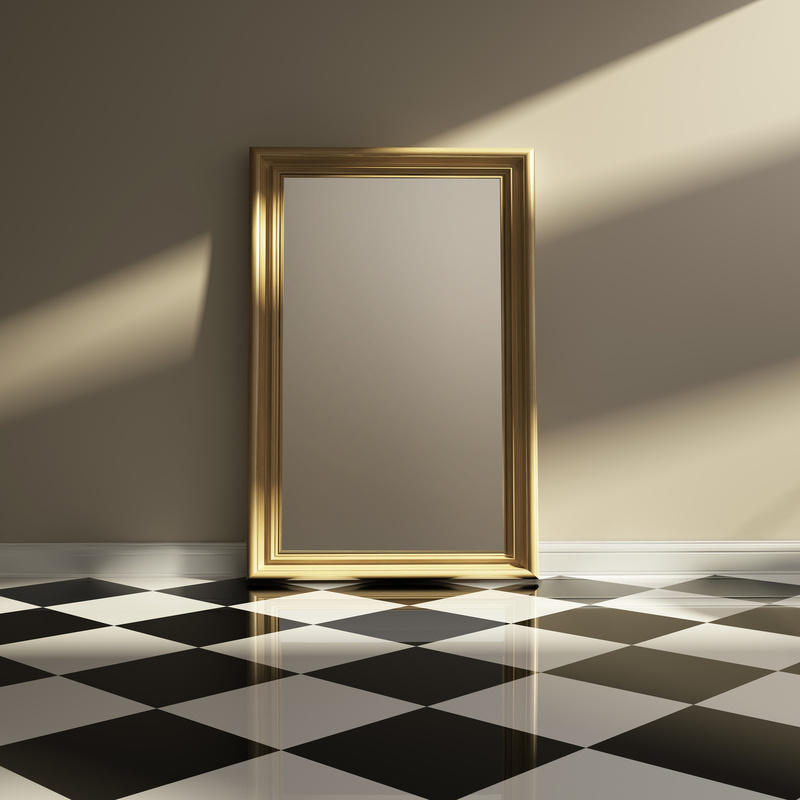 People can have varying levels of a relationship with themselves from thinking they love themselves, actually loving themselves, or totally hating themselves. Only you can truly assess where you are with yourself. You can tell when some people are just not comfortable in their own skin and then there are others that put up a great facade, but have an incredible amount of internal turmoil going on. Being fine with being in your own skin is the first step to getting anywhere and living a full life. When feeling unsettled in yourself or in unfamiliar territory, it is important to ground yourself and remember who you are. If you do not do this, you can easily start to turn on yourself. There is a meditation called, “Meditation for Creating Caliber” also known as, “Darpan Kriya” from the manual, Radiance and Victory: A Woman’s Way to Prosperity by Dr. Manjit Kaur Khalsa and Siri Tapa Kaur Khalsa. By the way, Radiance and Victory is a great manual with a few great heart kriyas and meditations. Practicing Darpan Kriya is like re-calibrating your internal GPS. If you have ever driven through New York City with a GPS system, you may find that it doesn’t work because it cannot locate the satellite with the tall buildings obstructing the connection. This meditation seems to shorten the gap between you and yourself. It also works with the First Chakra. Guru Dev, the Master of Sat Nam Rasayan says that the meditation works on, “Locating yourself beyond any point of reference.” You are no defined by anything else but yourself. He also said that it clears your perception and brings about Shuniya or “zero mind”. This meditation like many others is not a magic wand that will remove all of your issues with one try. It is more like building a relationship which takes time, commitment and consistency. Watch your attitudes when practicing this meditation. If you feel yourself falling asleep, this is your resistance and it is a sign that you need to practice this meditation over a longer period of time than just 40 days. 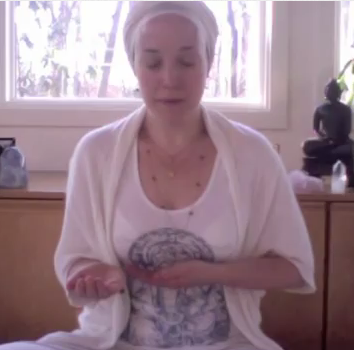 Yogi Bhajan originally taught this meditation for 11 minutes. This instructional video was only practiced for 3 minutes as a demonstration. *The Right hand is up with the palm facing the left side with the fingers pointing up and thumb is out. *The Left hand will face you so that you can read the lines of your palm. The horizon of the left hand is around eye level, but you would be able to see beyond your own hand if you looked up. The thumb is out. The manual doesn’t indicate any specific mantra, but Guru Dev suggested the this one. *Continue for 11 minutes and locate yourself. You are going to mentally chant this mantra during the meditation. I do not recommend practicing it with a recording because mentally chanting during this meditation forces you to actively participate and be present, otherwise listening will make you go through the motions.